Through our Concierge Services, our staff is here to guide you through the entire funeral planning process. Whether filing required paperwork, coordinating flowers, providing aftercare services to help you grieve in the months after the funeral, or holding annual events to honor your loved one’s memory, Geib is here to serve. We pride ourselves on perfecting every last detail. At Geib, we understand attention to detail means you can move forward with important administrative and estate resolution. We can work directly with physicians and health registrars to hand-deliver death certificates for processing. Professionally Licensed Life Insurance agent Nick Alleshouse and Jane Martinelli files for and service hundreds of life insurance claims annually, free of charge. Geib also immediately reports deaths to the Social Security Administration, reducing the threat of identity theft by would-be thieves who prey upon grieving families. And, for your convenience, we offer notary services at both locations. Please visit the resources on our website to learn more. At a time like this, you want someone who can coordinate anything you need, just like a good friend. 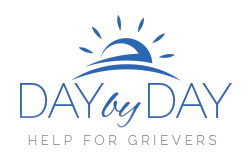 Our funeral concierge, Robin Mackey, assists families in selecting personalized remembrance gifts, from engraved memorial medallions and thumbprint jewelry, to woven tapestry throws and garden accents. Allow Robin to suggest the perfect pallbearer gift or memento for family and friends. Robin can also make reservations for hotels and restaurants, or plan unique themes for catering receptions. Whatever you need, we can help.